Are you in need of a car loan or lease for a new FIAT or a used car, truck or SUV? At our dealership near San Francisco, we have a trusted finance team with trained professionals who will work with top credit providers to get you low-interest rate loans and leases. Have no credit or bad credit? No problem! 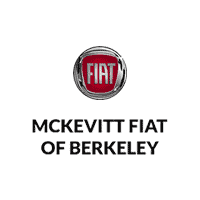 At McKevitt FIAT, auto financing is hassle-free. The financial professionals at our location are here to help customers through every step of the purchasing process. Browse our new FIAT and used car, truck or SUV inventories to see our impressive lineup of new FIAT’s and used vehicles. Then feel free to start the financing process and get pre-approved by using our online finance application. Whether you are located near San Francisco or the surrounding areas of Daly City, Alameda, Berkeley, Oakland, Mill Valley, San Rafael, Marin and South San Francisco, our trained professionals can help with all of you auto finance needs. If you have any questions, feel free to contact us online, by phone or in person at 2700 Shattuck Avenue #200, Berkeley, CA 94705. Get one step closer to the vehicle you have been looking for!